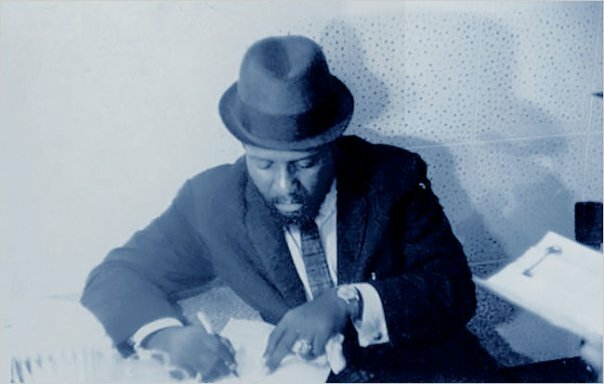 Thelonious Monk, backstage at the Village Gate in 1962. …and and and a bunch of rock in the car: Black Sabbath, Black Country Communion and duh…the new Judas Priest. link to streaming audio of the album. Note: there’s been various recent updates, so I’m reposting this today. Scroll down for the latest. Revisitation of a classic 1990 album by a musical pioneer. Included alongside the original album is ‘The Living City’, a 1989 concert performance at the Wintergarden in New York City mixed live by Brian Eno, and ‘Psychogeography’, a carefully edited sequence of alternate takes, demos and re-interpretations by cutting edge electronic producers that presents a parallel dimension version of the original release. Features contributions from 808 State, patten, No UFO’s and Bass Clef. Available as a 3CD casebound edition, or a 2LP + DL card version that sees the original release re-cut as a double album for vastly improved sound. A selection of highlights from the All Saints label including Brian Eno, Harold Budd, Jon Hassell, Roedelius, John Cale and Laraaji, alongside specially commissioned interpretations by contemporary artists including Bee Mask, patten, Sun Araw, Hieroglyphic Being and James Blackshaw. 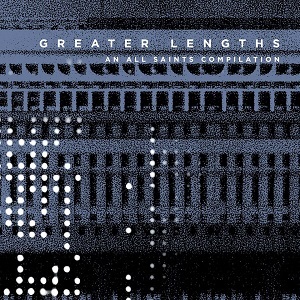 29-track double disc compilation. Sleevenotes by Mark Prendergast, author of The Ambient Century. 4 tracks from the City: Works Of Fiction album reimagined by Bandshell, patten, No UFO’s and Some Truths. Limited edition 12” vinyl and download. Reinterpretations of Jon Hassell tracks by Bandshell (Mute), patten (Warp), No UFO’s (Public Information) and Some Truths (Mordant). 3 tracks taken from the ‘Psychogeography’ bonus disc of All Saints expanded reissue of Jon Hassell’s City: Works Of Fiction album plus the Bandshell remix from the ‘Greater Lengths’ All Saints label compilation and remix album. Current producers and artists working in a sympathetic idiom were invited to re-work and re-interpret some of the highlights from the All Saints archive. For this EP the starting point was original tracks from the City: Works Of Fiction album, radically reinterpreted by the chosen producers, with the resulting version given a new title via a dialogue between Jon and the remixer. and Some Truths (Mordant Music). 3 tracks taken from the ‘Psychogeography’ bonus disc of All Saints expanded reissue of Jon Hassell’s City: Works Of Fiction album plus the Bandshell remix from the Greater Lengths All Saints label compilation and remix album. Current producers and artists working in a sympathetic idiom were invited to re-work and re-interpret some of the highlights from the All Saints archive. 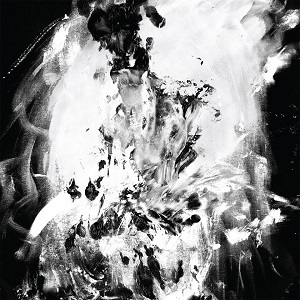 Released as a limited edition 12″ vinyl and Download EP on 19 May 2014 (3 June in North America). A trumpet player, composer and musical conceptualist, Jon Hassell’s career bisects a multitude of strands in the history of the avant-garde and the development of genuinely new forms of music. 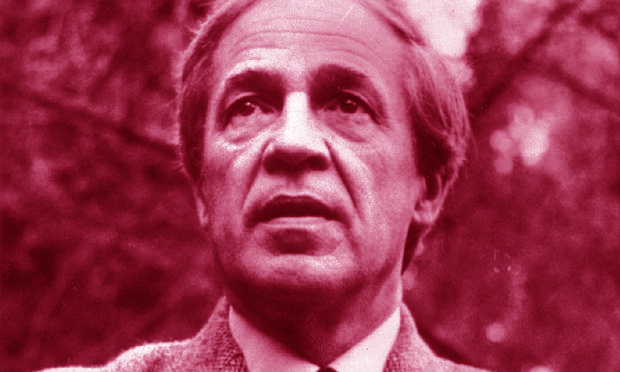 Having studied under Karl-Heinz Stockhausen in Cologne (alongside future members of the band Can), he played on the original recording of Terry Riley’s In C (1968), was part of La Monte Young’s Theatre Of Eternal Music and studied Kiranic singing with Pandit Pran Nath, all of which informed his own instrumental technique and treatment of the trumpet with various electronic effects. A growing interest in the indigenous music of other cultures led to the invention of his ‘Fourth World’ blend of different styles, first heard on albums such as Vernal Equinox and Earthquake Island in the late-1970s. These caught the ear of Brian Eno, who collaborated with Hassell on the Possible Musics album, and used many of the Fourth World ideas on his My Life In The Bush Of Ghosts album with David Byrne. He has played on albums by artists including Talking Heads (the seminal Remain In Light), Peter Gabriel and Bjork, composed film soundtracks and contributed to theatre works. Jon continues to tour and make new music – he is currently collaborating with techno legends Moritz Von Oswald and Carl Craig for a proposed album on Tresor Records. 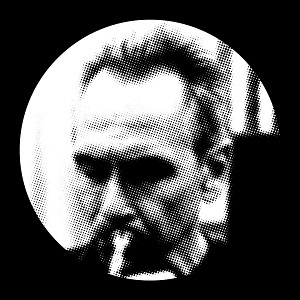 Jon Hassell Remixes – TRAILER from All Saints Records on Vimeo. Combining his trademark brand of Fourth World fusion with new influences from the emerging hip-hop scene, this 1990 album is a landmark release in Jon Hassell’s career to date. Futuristic sci-fi funk with a completely melted production aesthetic – instruments and samples blur into one another in the manner of the best dub records. Presented here in a deluxe triple disc edition alongside a 1989 concert performance of the City group, mixed live by Brian Eno, and a carefully edited sequence of alternate takes, demos and re-interpretations by current electronic producers that presents a parallel dimension version of the original release. The vinyl edition features the original album re-cut as a double album for extra wide grooves and improved bass response (the original issue had an hour of music squeezed onto a single piece of vinyl) and a download card with access to the audio content of all 3 discs. Jon Hassell – City: Works Of Fiction – Expanded Edition Trailer from All Saints Records on Vimeo. A 1990 radio interview with Jon Hassell conducted by John Hockenberry. Jon Gibson (saxophone, flute) has been performing with Philip Glass for many years as well as many other minimalist composers. Excerpts from solo concert of his music and graphics at Franklin St Arts Center, NYC 1978. Like of lot of people my age, I heard Keith Emerson’s arrangement of Modest Mussorgsky’s Pictures at an Exhibition for his band ELP in the early 1970s, he’s still playing it years later. Originally a suite for solo piano, the orchestral arrangement by Maurice Ravel is also well known to classical music lovers. Yamashita Kazuhito’s recording of his guitar transcription was reissued a few years ago on CD, but it’s already out of print. Prices on Amazon are astronomical, someday I’ll probably find a used copy somewhere for a dollar. I’ve heard it and there’s plenty of virtuoso guitar, but the performance sounded ragged. Jorge Caballero should record it. but doesn’t list Pictures in the repertoire page of his website. However, here’s two versions of his transcription for guitar. It’s an old favorite, perfect for guitar. The next orchestration was undertaken by the British conductor Henry Wood in 1915. He recorded a few sections of his arrangement on a pair of acoustic Columbia 78rpm discs in 1920. However, he withdrew his version when Maurice Ravel’s orchestration was published and banned every public performance in the 1930s in deference to Ravel’s work. Wood’s arrangement has also been recorded by the London Philharmonic Orchestra under Nicholas Braithwaite and issued on the Lyrita label. It omits all but the first of the Promenade-based movements and features extensive re-composition elsewhere. Wood’s orchestration was once described by Gordon Jacob as “superior in picturesqueness to the Ravel”, with its off-stage camel-bells in “Bydlo” and grand organ in “The Great Gate of Kiev”. The version by Maurice Ravel, produced in 1922 on a commission by Serge Koussevitzky, represents a virtuoso effort by a master colourist. The orchestration has proved the most popular in the concert hall and on record. Ravel omitted the Promenade between “Samuel” Goldenberg und “Schmuÿle” and Limoges and applied artistic license to some particulars of dynamics and notation. His instrumental colors—a trumpet solo for the opening Promenade, dark woodwind tones for passages suggesting Orthodox chant, the piccolo and high strings for the children’s “chicks in shells”–are widely admired. The influence of Ravel’s version may often be discerned in subsequent versions of the suite. Another arrangement appeared when Eugene Ormandy took over the Philadelphia Orchestra in 1936 following Leopold Stokowski’s decision to resign the conductorship. Ormandy wanted a version of Pictures of his own and commissioned Lucien Cailliet, the Philadelphia Orchestra’s ‘house arranger’ and player in the woodwind section, to produce one. This version was premiered and recorded by Ormandy in 1937. Walter Goehr published a version in 1942 for smaller forces than Ravel but curiously dropped Gnomus altogether and made Limoges the first “picture”. Many other orchestrations and arrangements of Pictures have been made. Most show debts to Ravel; the original piano composition is, of course, frequently performed and recorded. A version for chamber orchestra exists, made by Taiwanese composer Chao Ching-Wen. Elgar Howarth arranged it for the Philip Jones Brass Ensemble in 1977, subsequently recasting it for Grimethorpe Colliery Band. 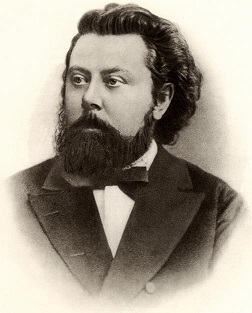 Kazuhito Yamashita wrote an adaptation for solo classical guitar. Excerpts have also been recorded, including a 78 rpm disc of The Old Castle and Catacombs orchestrated by Sir Granville Bantock, and a spectacular version of The Great Gate of Kiev was scored by Douglas Gamley for full symphony orchestra, male voice choir and organ. The Amadeus Orchestra (UK), taking a page from Leonard Slatkin’s ‘compendium’ approach, commissioned ten composers to orchestrate one movement each to make a version first performed complete in 2012. Movements were provided by Alastair King, Roger May, Tolib Shakhidi, David Butterworth, Philip Mackenzie, Simon Whiteside, Daryl Griffiths, Natalia Villanueva, James McWilliam and Julian Kershaw.